Each day is a fresh struggle for me. Most days the struggle is less than others, but it is my constant companion — struggle. I want desperately to banish it and simply enjoy life, but it seems the struggle taints everything I do. I wait, I watch, I wonder, I dream, I hope, I cry, I pray. I pray. And yet still I struggle. Recently during a shopping trip to Hobby Lobby, I found a book in the back of the store on a clearance rack. It was a leather-bound book in a beautiful shade of summer, cloudless sky blue, and it had a word on it that grabbed me and pulled me inexorably to it. I picked it up and read Jesus Calling: Enjoying PEACE in His Presence. That word: peace. I crave it like a newborn craves its mother’s breast. I thirst and long for that seemingly elusive peace that passes all understanding. Why is it so hard to find? I opened the book up and just randomly thumbed through the pages. The book is a daily devotional with each day’s reading consisting of one, but not more than two paragraphs. Short, sweet and to the point. My kinda peace. I know nothing about the author (Sarah Young). I had never heard of her before picking up this book. But I am absolutely certain that she wrote that book for me. Every single day I read something else that speaks specifically to my daily struggle. My daily pain. Oh alright, my daily whining. It’s interesting to think about. Are you ever still? I know I am not. But it’s worth considering: what you hear or observe or notice when you are still. It’s a great exercise. Wherever you are–at work, school, sitting at a restaurant, on the beach, in a store, at home–just sit for 60 seconds and listen. Close your eyes. What do you hear? What do you notice? What comes to your mind? The taste of my drink on my tongue. Okay, so I didn’t hear any words from God or clear messages about my future. But that’s sort of the point, right? I kept listening to things that were around me. I did not quiet my mind. I did not sit and wait for God. I guess I expected God to just plow through all the noise and tap me on the shoulder. But he didn’t. Why? If this clearance rack book I purchased is any indicator, it takes time. And practice. Nothing comes easily to me, except writing. So I write and expect God to direct my words. I think he does, mostly. But something the author of the book wrote in her introduction struck me. She stated that she had been journaling her prayers and one day realized it was simply a monologue. She was speaking to God, but she wasn’t really listening to what he had to say. After making that realization, she changed the way she journaled and it became a dialogue. I am not certain how she did that, but one thing is abundantly clear to me: it involved a lot of listening and being still. Great. One more thing I have to work at. But I believe the promises God makes when he says he is with me. I just have to quit talking (and whining and crying) for a while so I can hear what he has to say. 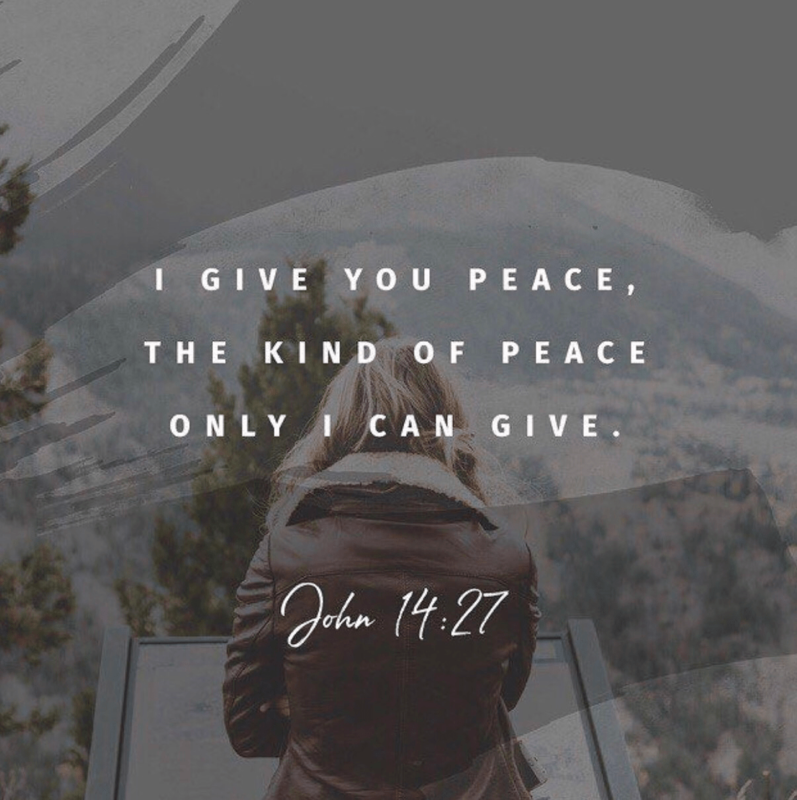 And he promises something else: his perfect peace. Love this! Her book Jesus Calling spoke to me deeply a few years ago and I agree….an aweful lot of stillness, silence, and listening. The journey continues as I hear God clearer, just last night to my frustration. There have been desperately lonely years, decades that honestly I would have never chosen but I also wouldn’t trade them for the assurance that I know that I know that I know, his voice. Keep writing!!! !